There is an early St. Louis steam car that has so far escaped the author's documentation efforts. There is an earlier St. Louis steam car that has so far escaped the author's documentation efforts. This image appeared in Automobile Review on August 27, 1904, p. 211, and may or may not be the elusive St. Louis Steam Car. The graphic alone is worth the entertianment value. John A. Conde Collection. This St. Louis Motor Carriage Comapny advertisement appeared in 1900, probably in Horseless Age. 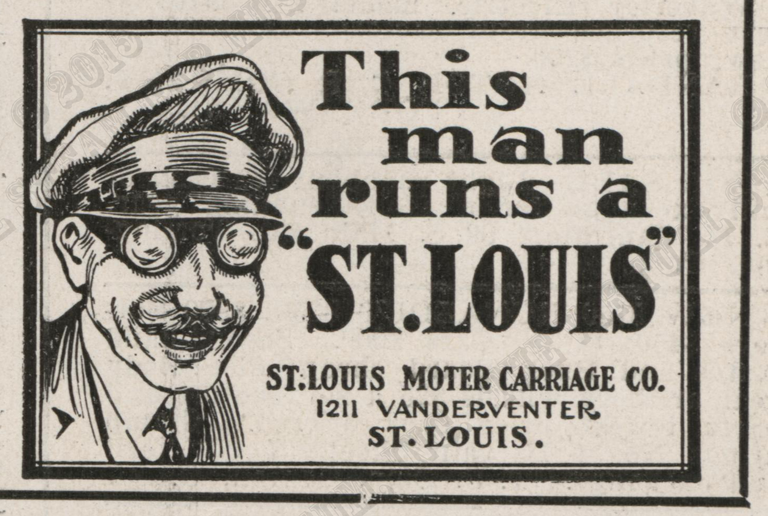 "The car in this ad for the St Louis Motor Carriage Company, 1211 N Vandeventer Ave, St. Louis MO. 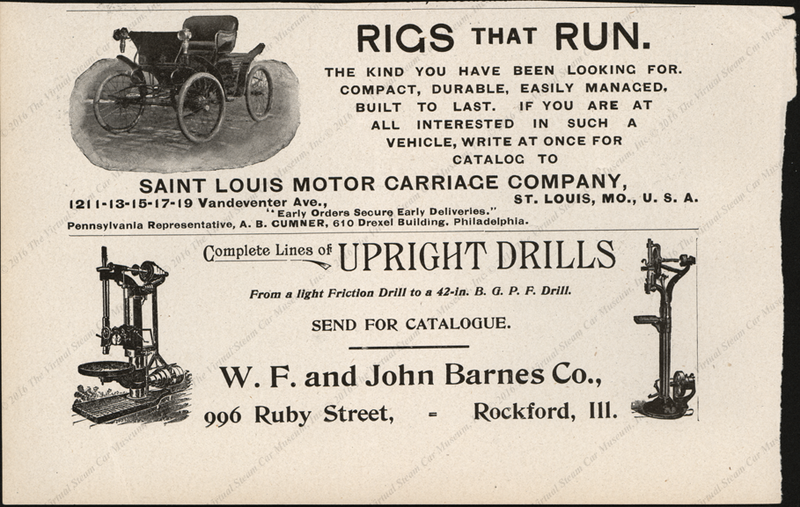 This company founded by John L French and George P Dorris manufactured only gasoline autos from 1899 to 1905 when the company assets were moved to Peoria IL and started a new company the St Louis Motor Car Co. Peoria IL and produced gasoline cars into 1907. George P Dorris III to Donald Hoke, email, March 3, 2016. Contact us if you have additional information about the Saint Louis Motor Vehicle Company, or if you have questions.